It’s always nerve-wracking when a favourite cafe or restaurant changes hands. There’s a period when you’re wondering what will be altered, will your favourite dishes remain, will the staff stay the same and so on. 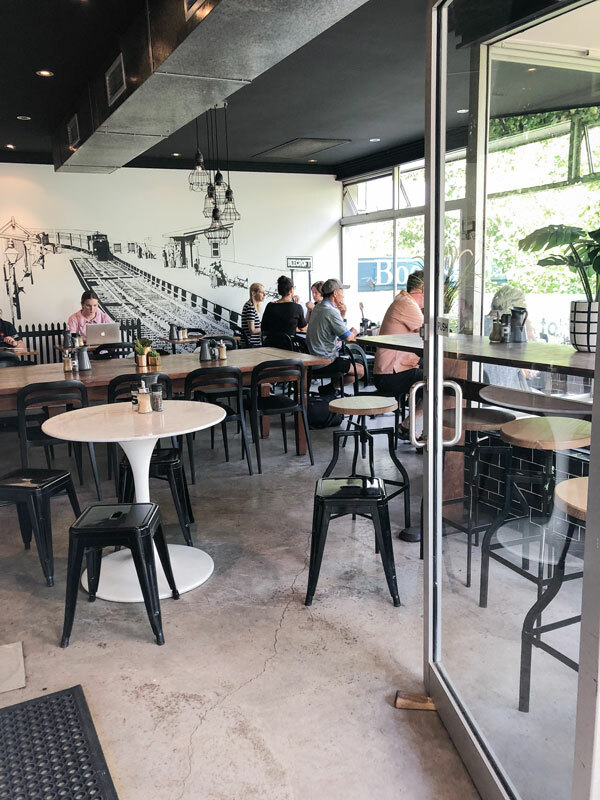 We found ourselves in this situation recently when local faves Dan and Mel sold their popular Longshot cafe in Beecroft. So it was with slight trepidation and crossed fingers that we visited for lunch recently to sample the new Autumn menu and…… phew, what a relief it was! First up, there are no obvious visible signs that things may have changed at Longshot. Still friendly staff, still a buzzing atmosphere, still regulars enjoying their daily coffee and having brunch with friends. And lovely previous owners seem to have been replaced with lovely current owners, Hills locals Micheline and Andrew. Micheline admits to stalking new chef John (another Hills local) to get him to come and work for them! And it’s a good thing she was so committed because John knows his stuff, respects great produce and seasonal food, is ex Wolfe & Co and Wild Pear and has worked in hatted restaurants throughout his career – all of this shines through in his dishes. The Autumn menu is spot on for breakfast, brunch or lunch and is served all day, from 7am through to 2pm. Favourites remain and have only been enhanced, if touched at all. Then there are a some new dishes that are perfect for Autumn. One of these is the mushroom cauliflower – cauliflower and truffle puree, braised field mushrooms, thyme, and grana pandano snow on sourdough. This was a delicious shared starter and all the flavours worked perfectly together – you could have this for breakfast too. Lunch of course included a salad and we went with the smoked chicken salad with corn puree, broccolini, roasted pearl couscous, seasonal salad and white balsamic. 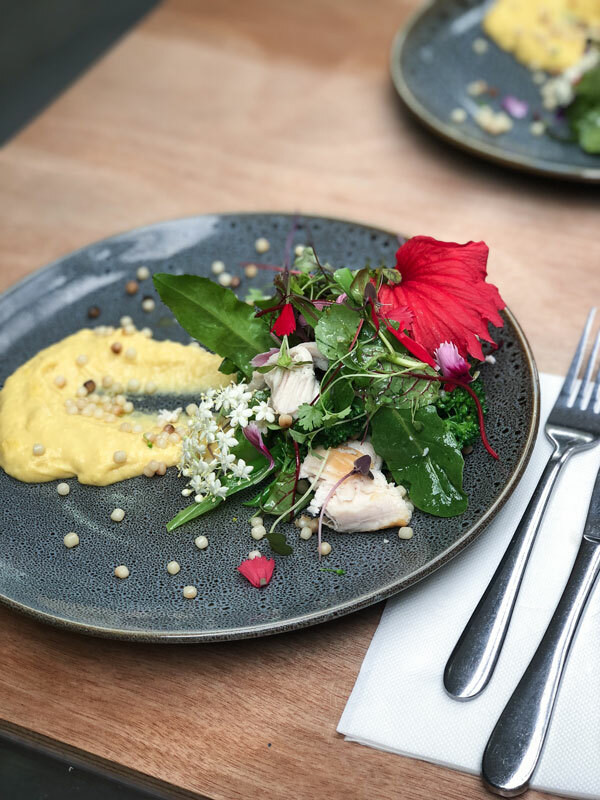 As with lots of the dishes on the Longshot menu, this was more than just an average chicken salad – John ensures there’s something a little spesh or different with each dish and the stand outs in this salad were the corn puree and the smokiness of the chicken, making it way more than something you’d whip up for a midweek lunch at home! When we go out to eat we like to choose dishes we wouldn’t necessarily make at home – usually because we wouldn’t be capable of it! 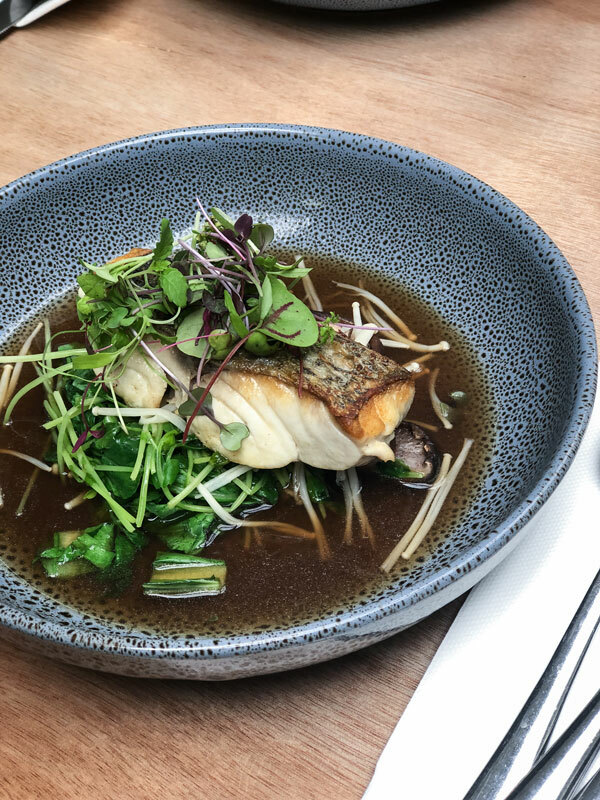 One such dish was the blue eye cod with dashi broth, shiitake & enoki mushrooms, choy sum, snow pea tendrils and Chinese kale. Again, this is a perfect Autumn dish as the weather gets a little cooler (soon!) – a warming broth and perfectly cooked fish with the goodness of mushrooms and greens. It’s also worth noting that this is $22.50, an excellent price for a fish dish we think. 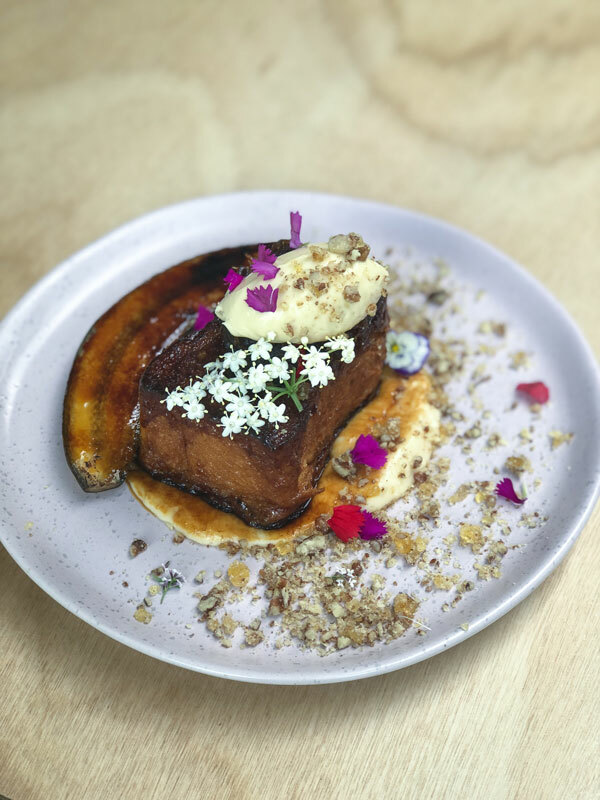 We finished off our delicious lunch with the Longshot French toast with brioche, brulee banana, date mash, dulce de leche, marscarpone, vanilla creme patissiere and candied pecan crumb. We’re usually a little fearful of French toast because it often looks so decadent and sweet and you can feel a little ill afterwards! But this version was spot on and not too sweet at all. The natural sweetness of the dates and banana was perfect, with the marscarpone and pecans helping to balance it all out. We did share this which was a sensible option and made for a perfect dessert. We won’t be scared of it next time! We love Longshot because it’s easy and relaxed. There are highchairs and room for prams in the little outdoor area, there’s a park down the road and a Woolies up the road if you need a few things, there are toilets nearby, there’s a little kids menu, the food is delicious, there’s good coffee and it doesn’t break the bank. These are all the things that float our boats as mums. So we’ve breathed a big sigh of relief that there are lots of visits to Longshot still to come! Shop 18, 6-8 Hannah St Beecroft. Open every day. Monday – Friday from 7am – 5pm, Saturday & Sunday 7am – 3pm.